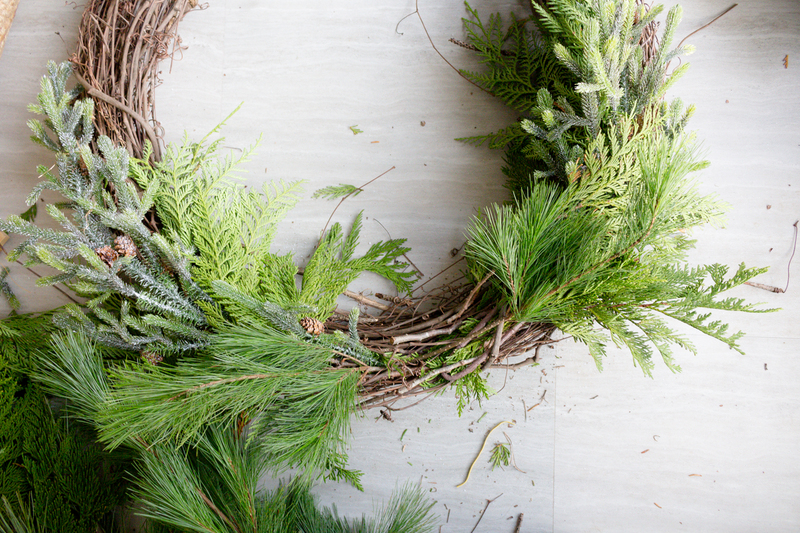 You will need a grapevine wreath an assortment of faux and real greenery of your choice. I started by purchasing a plain vine wreath from Michaels. 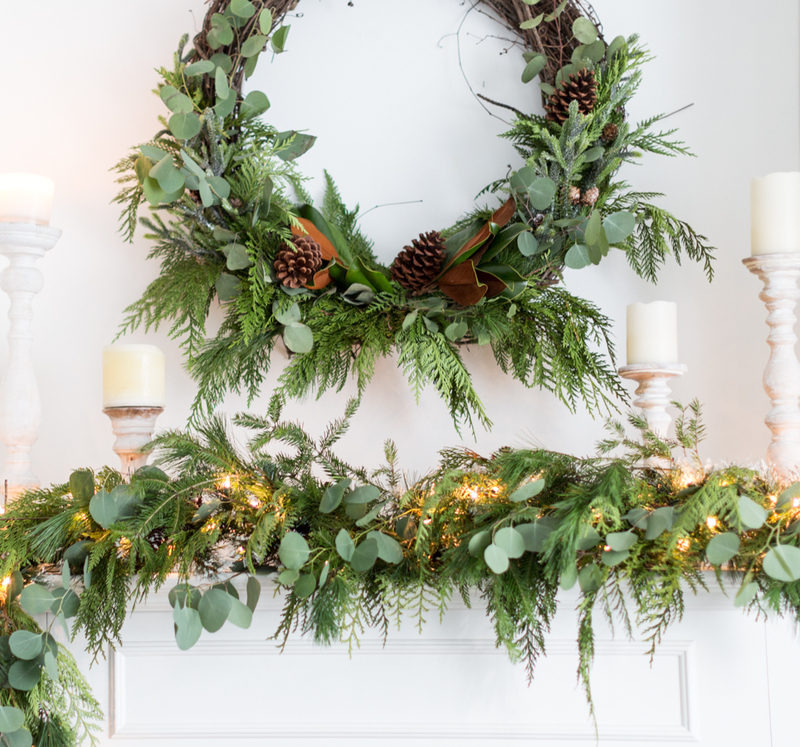 This measures approximately 22″ Start by inserting the larger pieces of faux greenery and place at either side. I didn’t have to secure the stems but I did secure the top part with a little piece of wire. 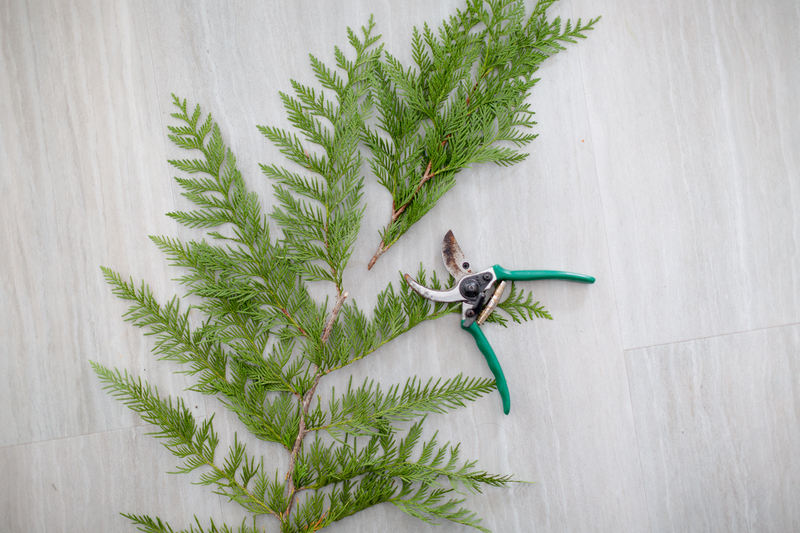 Cut some of your greenery. You can mix and match to make bundles or use separate sprigs. 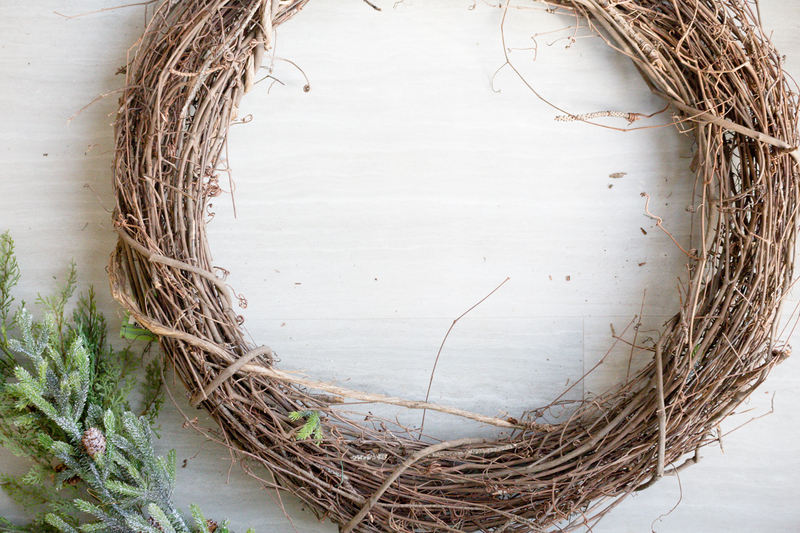 I inserted the sprigs into the wreath and attached it to the vine using floral wire. I again repeated this onto the other side of the wreath. 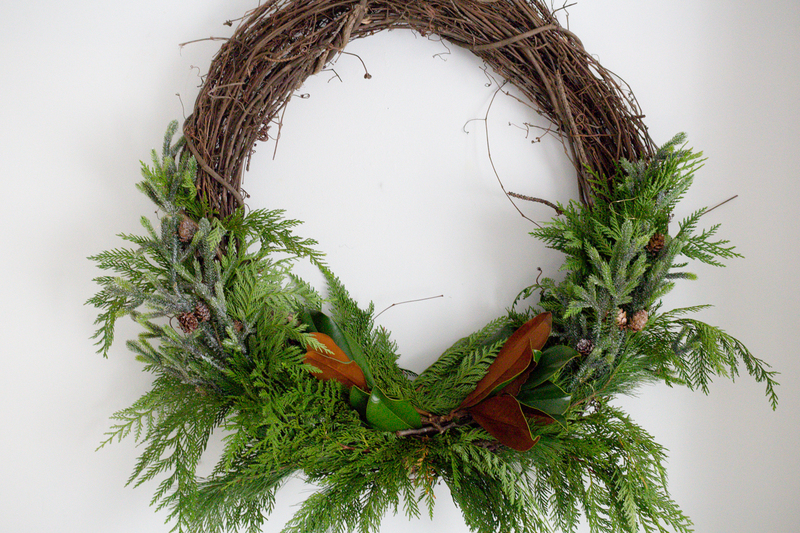 I cut a different type of greenery and repeated the process of attaching it at either side of the wreath. Take another layer and attach over the previous layer, working towards the center of the wreath. 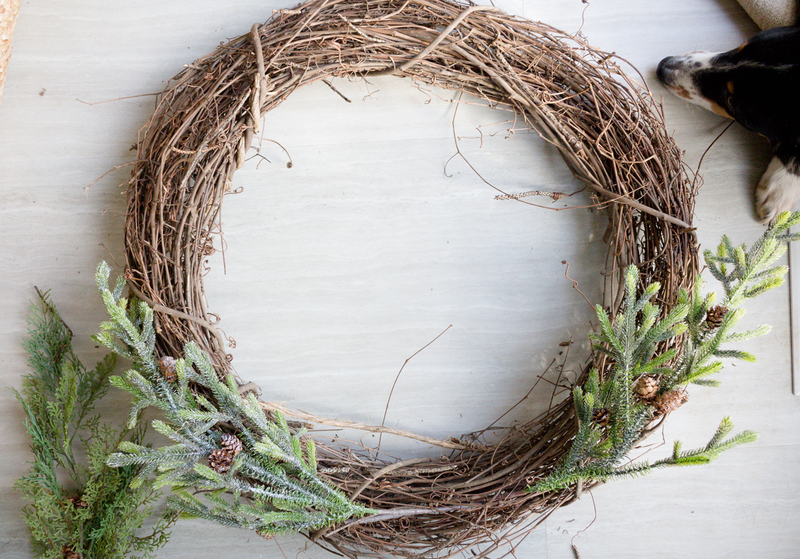 I then made little bundles of magnolia leaves and attached them to the center of the wreath. If you wish, you can add seeded eucalyptus or in this case, I used silver dollar eucalyptus to match my garland. 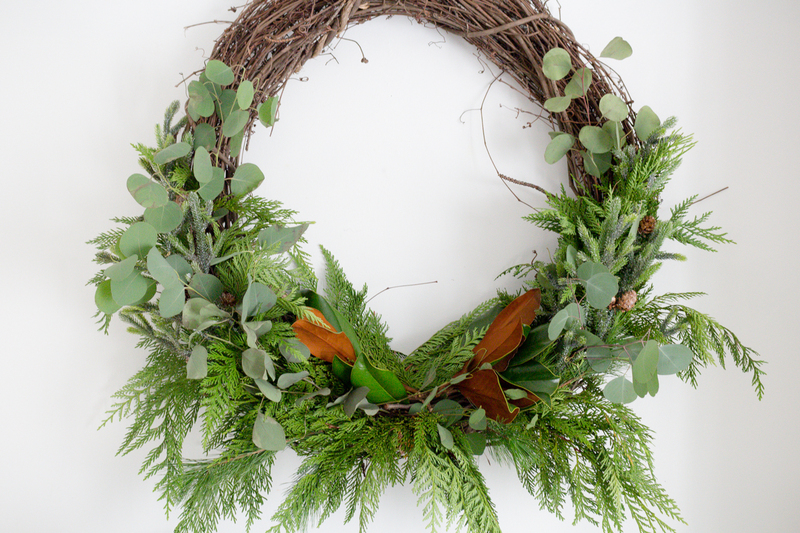 I didn’t have to use any wire to attach the eucalyptus as this is an indoor wreath. Lastly, I added a few pinecones here and there and done! 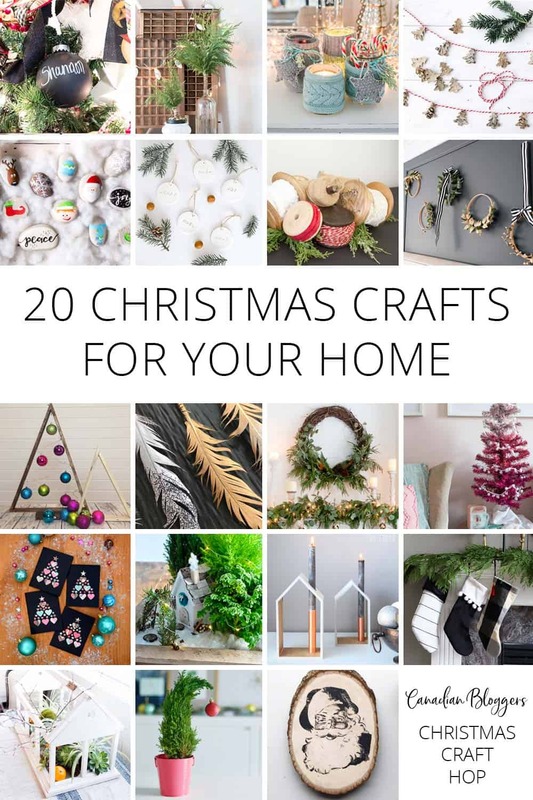 Please don’t forget to check out the other beautiful Christmas crafts from my friends. Thanks to my friend Shannon for hosting this hop. 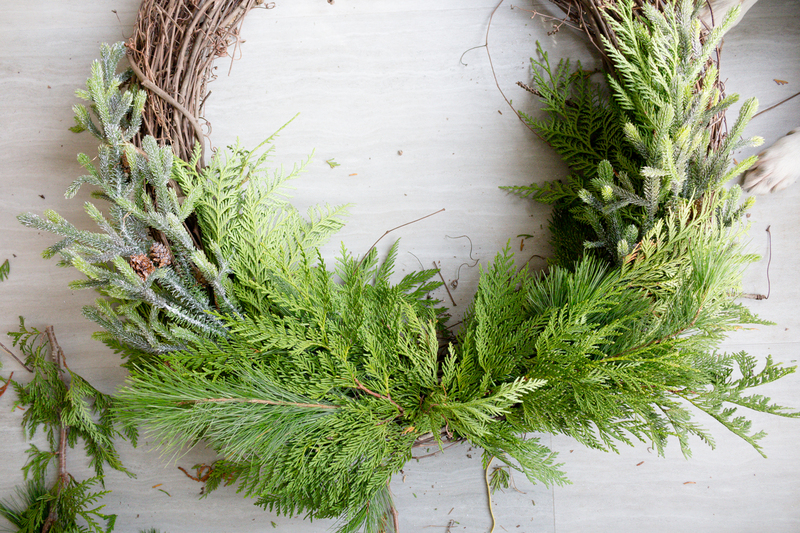 I love natural wreaths! 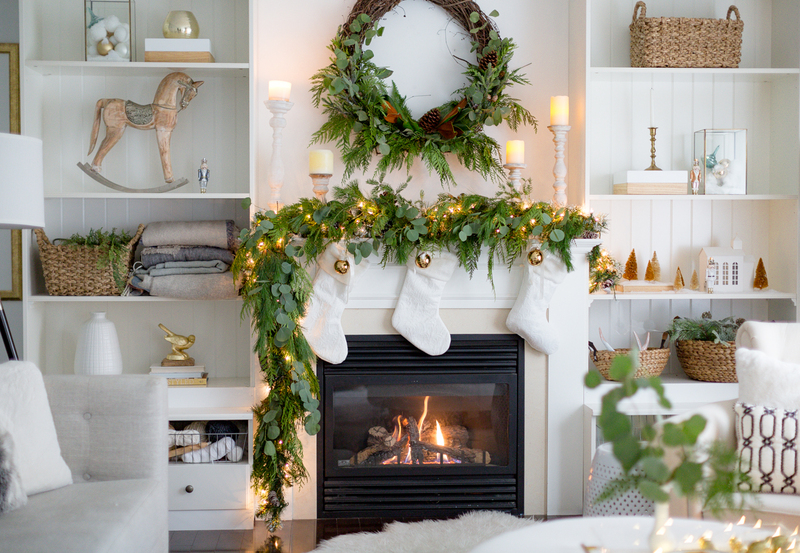 Yours turned out so pretty…I always adore your holiday projects Lucy! WOW! So gorgeous. Do you spray the fresh greenery with anything so it doesn’t dry out as fast? I love your wreath, how lovely over your beautiful fireplace and those magnolia leaves just add that extra special something. 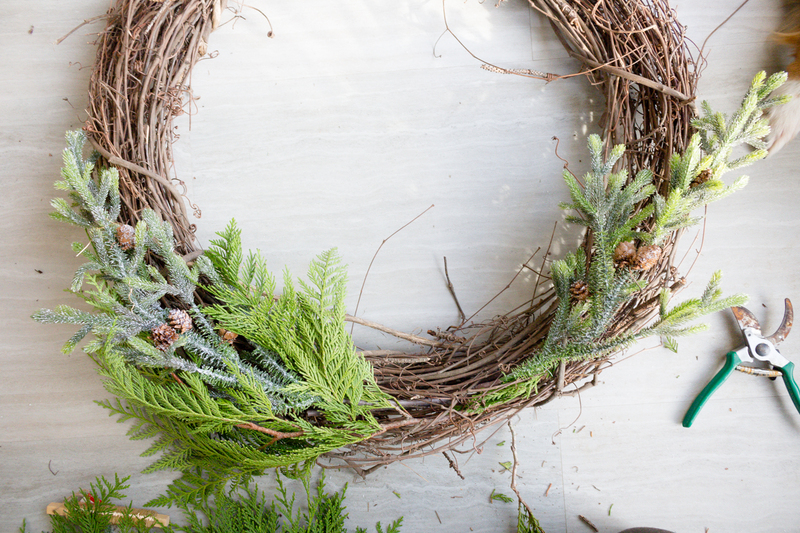 Love your wreath, it so pretty. Nothing says Christmas like beautiful fresh greens -and the smell is always so great too. Great DIY. Gorgeous! I love the addition of the magnolia leaves. Thanks a lot for sharing this amazing post here.